The project Mobility4EU works on shaping a European Transport and Mobility Forum that brings together the various stakeholder groups from supply and demand side in transport in order to jointly work towards a user-centered cross-modal transport system in Europe. At the conference “Towards user-centric transport in Europe — Challenges, solutions and collaborations” on May 22nd and 23rd 2017 in Brussels this initiative was publicly announced. 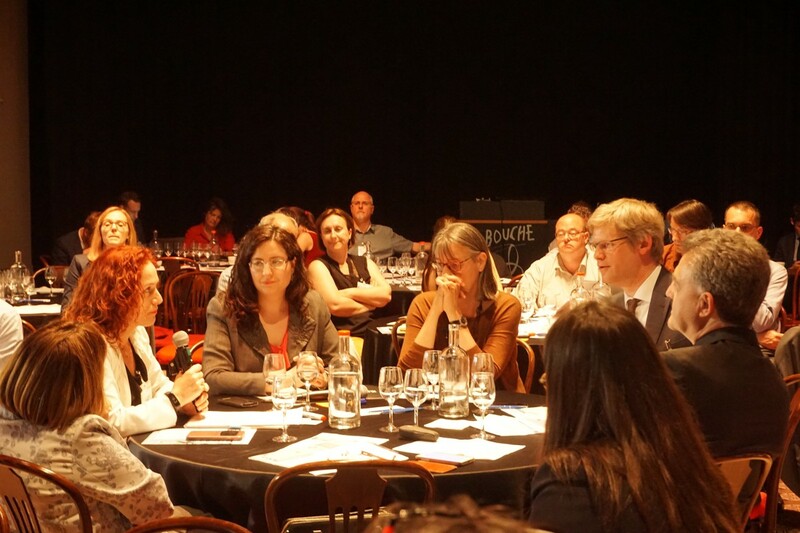 Within a panel discussion, stakeholders’ expectations towards the European Transport and Mobility Forum have been discussed. Gereon Meyer (VDI/VDE-IT, Germany), moderator of the panel, opened the discussion by asking the panelists what activities in transport they have been engaged in recently. Riccardo Groppo (Ideas&Motion, Chair of EPoSS WG Transport, Italy) develops user-centered electric vehicle applications in R&D projects that constantly grow in budget and involved participants. Erzsebet Foldesi (Budapest Association of Persons with Physical Disabilities, Hungary) operates a Universal Design Information and Research Center for the purpose of developing applications facilitating access for persons with disabilities. Ineke van der Werf (Rover — Dutch passenger Association) organizes surveys in order to know what passengers want. Carolina Cipres (Zaragoza Logistics Center, Spain) devises roadmaps for new logistics solutions, as e.g. the physical internet. Mary Panou (CERTH, Greece) researches and develops personalized mobility services and routing that takes users’ preferences and needs into account. Questioned regarding the aim of the European Transport and Mobility Forum, Ineke van der Werf took on the users’ perspective and stated that amongst others the Forum could become an applicable powerful instrument to enable a balanced dialogue between users, the industry and policy makers. Erzsebet Foldesi added that the Forum and its interdisciplinary network could also contribute to raising awareness on the diversity of passengers of all modes of transport, and possibly lead to new innovations in that field. Riccardo Groppo recognized the opportunity of the Forum to support and strengthen the interaction among different stakeholders and additionally create the possibility for a discussion between different scientific domains. According to Carolina Cipres the initiation of the discussion could also be a first step forward to creating a common space and an overall perspective for passenger transport and freight and thus contribute to a common European research agenda. Mary Panou agrees that the close collaboration between the different stakeholder groups will be an advantage from the academic point of view, as this enables the exchange of data among Forum members to foresee the future trends and prepare roadmaps for transport and mobility in Europe. At the end, the discussion was opened to all conference participants. Among others, Ioana Adamescu, European Commission, DG RTD, stated that such a forum is in the interest of the European Commission and its installment would be appreciated.